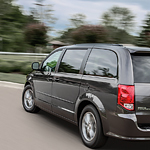 For many years, families have come to rely on the dependability of the Dodge Grand Caravan. You can check out this minivan at B & B Chrysler Dodge Jeep Ram and see for yourself why so many love this vehicle. It has plenty of room for the family, and it is a safe vehicle to drive. The Challenger has a versatile interior with up to 17 interior design options. 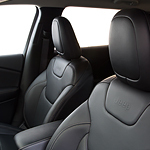 The high-performance seats are made to fit to the contour of your body for a secure and comfortable ride. When you're ready to drive a full-sized luxury sedan in Honesdale that will turn heads, don't look further than the newly designed 2019 Chrysler 300. Getting 30 highway mpg, it combines comfort, efficiency, and performance flawlessly. 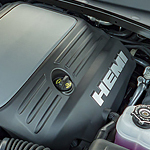 The 5.7L HEMI V8 engine produces a best-in-class 363 horsepower and 394 pound-feet of torque. It is equipped with modern technology that will determine when full power isn't needed in order to save you gas. 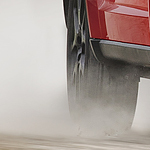 Are you trying to figure out which SUV is going to please you with the way that it performs? Are you concerned that you will settle for a vehicle that is not all that you want it to be? The Dodge Journey not only has the performance features that you seek, it is a popular mid-size SUV that is designed well. 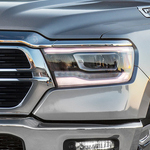 While you may be satisfied with any one of the Dodge Durango vehicles, there is one that is worth looking into for the features that are going to give you the performance and style that satisfies. 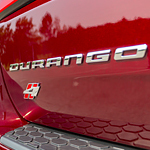 This particular feature package is one of the stand out packages that make the Durango very popular with customers. The feature package worth looking into is the Blacktop Package. This feature earns the name because of the gloss black features in the appearance of the vehicle. One example of a feature that is appearing in gloss black is the 20-inch aluminum wheel set. One thing that every car owner is going to be experiencing with their vehicle is a fluid leak or two. As a matter of fact, it is only a matter of time until you notice a leak. There are a lot of reasons that a fluid is going to leak. Winter Tires vs. All-Season Tires: Which Are Best for Your Vehicle? Preparing your vehicle for harsh weather conditions during the winter is one of the best ways to stay safe when you are behind the wheel. At B & B Chrysler Dodge Jeep Ram, it is important to our team to keep our consumers informed, so you can read below to learn more about all-season tires and winter tires. 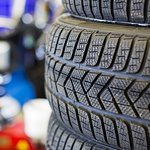 Many vehicles are equipped with all-season tires when they leave the manufacturer. 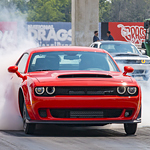 These tires are made to provide drivers with a quiet ride and good performance all year. They are versatile and work well on wet roads and in light snow. The Ram 2500 is a favorite heavy pickup truck. 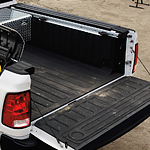 The Ram 2500 offers economy and power to handle a wide range of business and family tasks. It is an ideal vehicle for local errands as well as long-distance trips. Buyers can choose a manual or automatic transmission to meet their driving needs and preferences. The Ram 1500 available at B & B Chrysler Dodge Jeep Ram is among the most popular trucks on the market. This is partially because it has a variety of safety features that provide peace of mind wherever you need to go in Honesdale. For instance, it offers a 360 degree view around the outside of the truck.